This is the only concert of Wrecking Ball Tour in Spain. Bruce Springsteen played 31 songs in about 210 minutes. 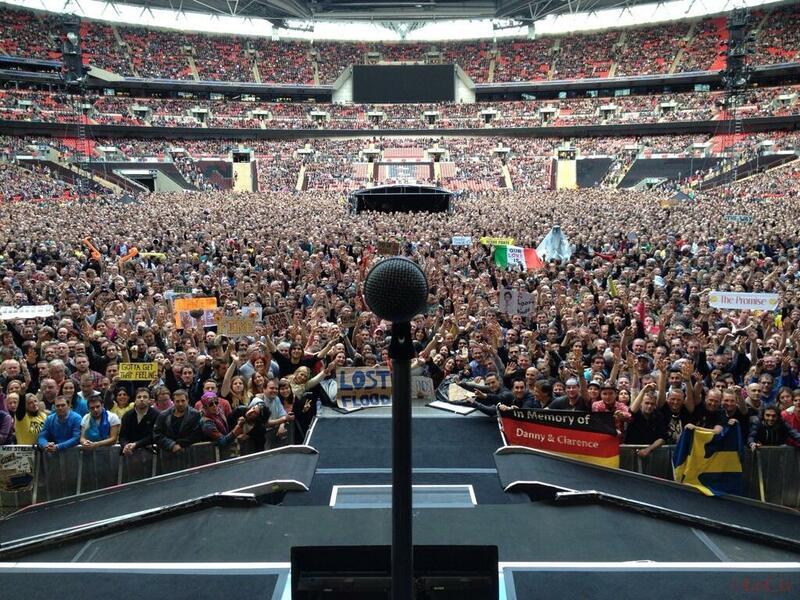 Nice concert yesterday night in Coventry for Bruce Springsteen and the E-Street Band. The highlights of the concert were Born to Run complete album and the full band version of Long Time Comin’. Next show will be tomorrow night in Nijmegem. 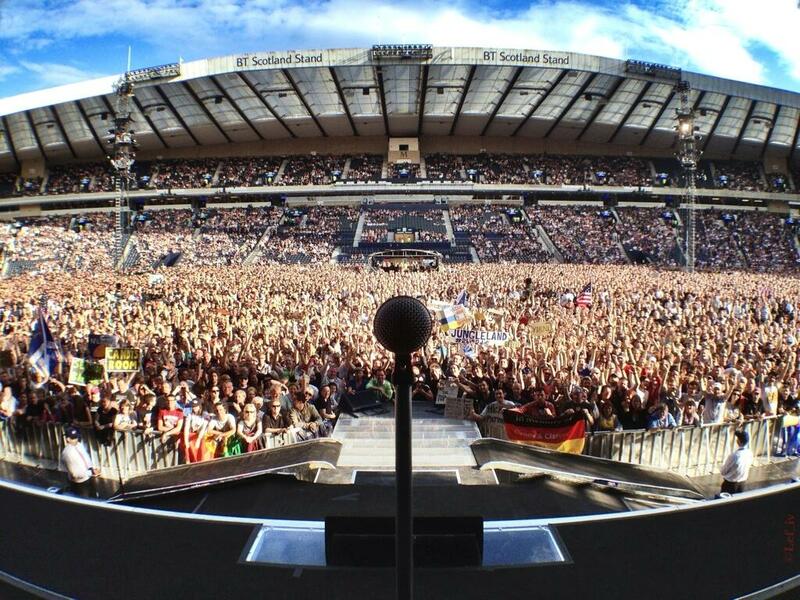 Yesterday Bruce Springsteen and The E-Street Band played in Glasgow for the fourth time. In a couple of days I’ll send and e-mail with the latest bootleg available, so do not forget to subscribe my newsletter. Are you ready for the second part of the second leg of the Wrecking Ball Tour? I’m back from London, sorry for the late update. Next concert is scheduled for this night (June 18th) in Glasgow. This is the Godfather Records version of the second night in Paris for Bruce Springsteen and the E-Street Band during the Wrecking Ball Tour. The quality is quite similar to this bootleg . The bootleg have the code 780/781/782 of the Godfather Records catalogue. 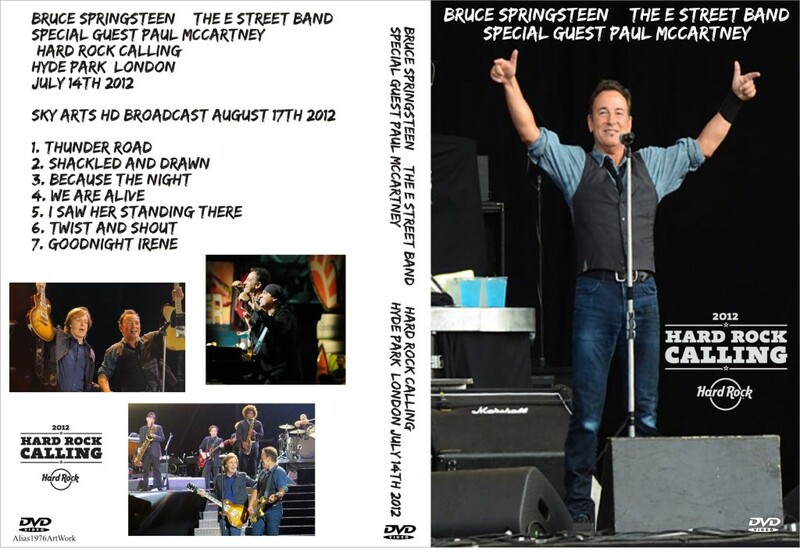 Bruce Springsteen and the E-Street Band played at the Hard Rock Calling Festival in London on July 14th 2012 during the first European leg of the Wrecking Ball Tour. These seven songs have been broadcasted by Sky Arts in August 2012. During the duet with Paul McCartney on Twist And Shout the power were cutted off for curfew time already passed. 21.06.1985 Born In The U.S.A. This is the second Wrecking Ball gig in Milano and, if I’m not wrong, the only one in the same venue. 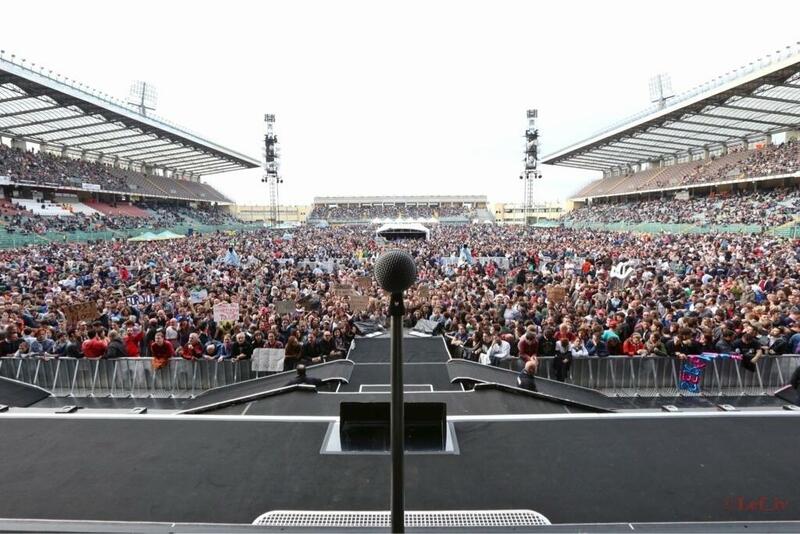 On May 31st Bruce Springsteen and the E-Street Band played in Padua for the second Wrecking Ball gig in Italy. 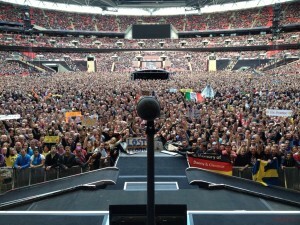 This was my first 2013 concert and I’ve been so lucky to listen: The Ghost Of Tom Joad (second time after Prague), Boom Boom, Something In The Night and Born To Run (full ALBUM), plus The Promised Land and Growin’ up in a short acoustic pre-show! This is the seventh time that Meeting Across The River has been played in Europe, exactly ten years later after Dublin May 31st 2003. Next stop is Milan tomorrow night.